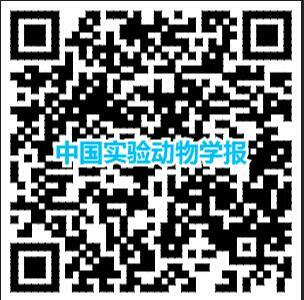 目的 研究溶菌酶1(lysozyme 1,LYZ1)基因在超数排卵前后小鼠孵化囊胚和休眠胚胎中的分布以及表达,探究动物胚胎着床过程中新的调节机制?方法 从妊娠5 d ICR 小鼠体内获取的正常孵化囊胚和超排囊胚,利用小鼠延迟着床模型于妊娠第8 天获取休眠胚胎和超排休眠胚胎?利用免疫荧光和Western Blot 方法检测LYZ1 蛋白在四组胚胎中的分布和差异表达变化?结果 LYZ1 在超数排卵前?后小鼠孵化囊胚和休眠胚胎中均有表达,且主要集中在内细胞团中,滋养层细胞和胞质中少见分布;与未进行超排的小鼠相比,LYZ1 蛋白在超排后小鼠胚胎中表达量显著上调,与未营造休眠模型的小鼠相比,LYZ1 蛋白在休眠模型小鼠胚胎中的表达量显著上调?结论 LYZ1 蛋白在囊胚内细胞团中表达,可能参与调节胚胎内细胞团的发育;LYZ1 蛋白在超排?休眠胚胎中的高表达,说明LYZ1 蛋白在休眠和超数排卵的双重影响下,会因为抵御不利环境而上调? Objective To explore the regulation of mammalian embryo implantation, we investigated the expression of Lysozyme 1 ( LYZ1 ) in normal hatching murine blastocysts and dormant embryos before and after superovulation. Methods Normal hatched blastocysts were obtained from day 5 pregnant mice, while dormant embryos were collected from delayed implantation models on day 8. LYZ1 protein expression in the embryos was detected by immunofluorescence and western blot. Results LYZ1 protein was expressed in both hatching blastocysts and dormant embryos before and after superovulation, where it was mainly concentrated in the inner cell mass. LYZ1 was rarely distributed in trophoblasts or in their cytoplasm. Compared with untreated mice, LYZ1 protein expression in superovulation embryos was significantly upregulated; moreover, LYZ1 protein expression in the dormancy model was significantly upregulated. Conclusions LYZ1 protein was expressed in the inner cell mass of embryos, where it may be involved in regulating early development. The high LYZ1 protein expression in dormant embryos after superovulation indicated that LYZ1 protein is upregulated in embryos experiencing adverse environmental conditions, such as the dual effects of dormancy and superovulation.